Product #22017 | SKU 387485 | 0.0 (no ratings yet) Thanks for your rating! 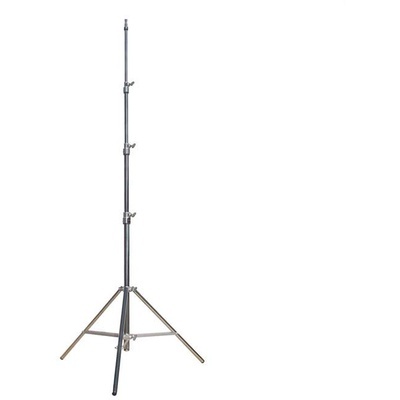 Designed primarily for use in lighting kits, this Matthews Maxi Kit Steel Stand - 2.3 m is compact and light weight. Many MSE Kit Stands employ a brake shoe system for locking off the riser tubes as opposed to pinch castings, thus permitting the use of heavier fixtures.